The elections took place at the Union’s council meeting at the Radisson Blu Hotel today (Friday 8 February). The Union’s AGM, conference and annual dinner was staged at the same venue the day before (Thursday 7 February). Andrew McCornick, Barnbackle, Lochfoot, Dumfries – Andrew, who is married with three sons and a daughter, was born and brought up on a dairy farm in Wigtown. Andrew and wife Janice farm their 230+ ha unit with 160 suckler cows and 600 breeding ewes with a small herd of pedigree Charolais cattle. Andrew’s sons farm a tenanted unit in East Ayrshire which provides replacement breeding stock for Barnbackle. For as long as Andrew can remember, he has been a member of the Union, and got more involved when the consultation for Nithsdale NVZ came out. 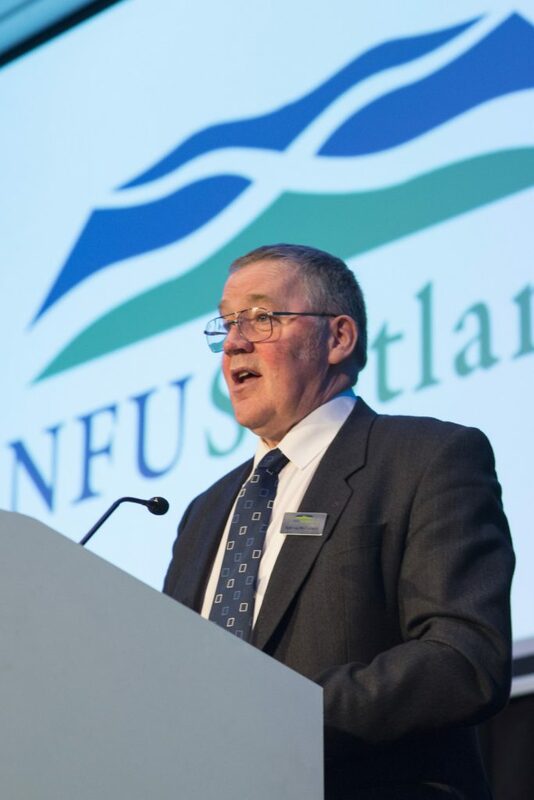 From there he went onto become vice chairman of the Dumfries branch, and then onto his previous role of Regional Board Chairman for Dumfries and Galloway. He also sat on the LFASS committee. Andrew was elected Vice President in February 2015 and President in 2017.